The Switzerland Convention & Incentive Bureau (SCIB) in London has appointed Claudio Zemp as meetings and incentives manager to take over from Urs Treuthardt when he departs on 31 December. Treuthardt leaves after two years to return to Switzerland and join St. Gallen-Bodensee Tourism as head of meetings and market development. 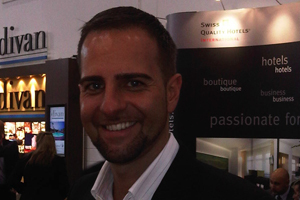 Zemp has worked with the Switzerland Travel Centre as air sales manager for the past ten years. His remit will include arranging four fam trips to Switzerland for UK event planners in 2011, and organising UK marketing events to showcase the destination.